Hire the top 3% of freelance budgeting consultants. Toptal is a marketplace for top budgeting consultants, experts, and specialists. 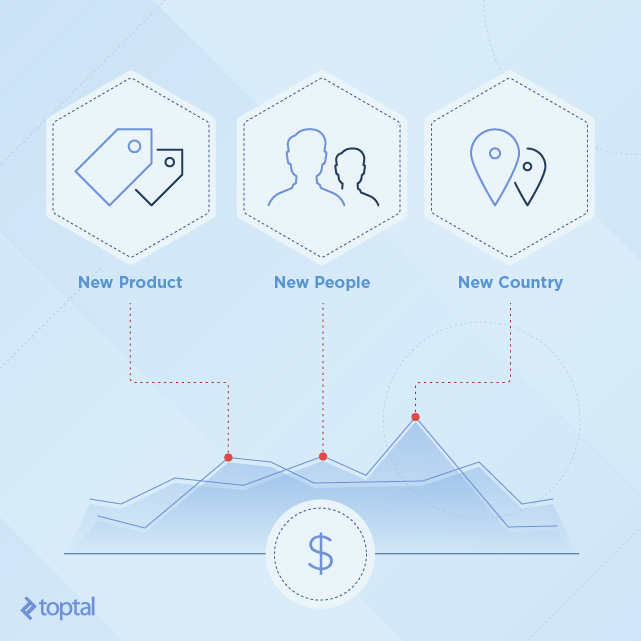 Top companies and start-ups hire budgeting freelancers from Toptal for their mission critical projects. A proper budget lays everything out in the open. Every expenditure, investment, and expansion plan is broken down and tallied up. The right budgeting consultant can turn a time-consuming process into a positive experience to refocus a company's strategy. This guide presents the best way to track and test the right skills in top candidates. Toptal is a marketplace for top budgeting consultants. Top companies and start-ups choose Toptal finance experts for their mission-critical finance projects. Juba is the founder of angioClast: a Cambridge-based biotech startup focused on cancer research. Prior to entrepreneurship, Juba was a seasoned CFO with multi-industry experience and has worked on projects ranging from an equity sale in a $150 million telecom company to the turnaround of a $50 million hotel business. He joined the Toptal network to resolve diverse challenges in FP&A, M&A, buy-outs, and strategic analysis. A budgeting expert is a rare breed of employee. They are highly sought after for having a precious combination of skills, mixing project management and an excellent interpersonal style with a strong knowledge of accounting and finance. The annual budgeting process typically lasts for four to six months in mid to large-sized businesses. For an activity that has such a big impact on resource planning and consumes so much time, it is no surprise that hiring the right person to lead the effort is critical to a CFO’s success. A recent Grant Thornton survey found that accurate planning made up over 1/3 of a CFO’s performance target when it came to long-term incentive compensation, and performance to budget is the yardstick by which executives are measured. This explains the pressure to find a highly qualified hire. For smaller companies, precise budgeting adds a much needed layer of control. A strong budget can act as a leash on expenditure, extending a runway and avoiding the common pitfall of running out of cash ahead of a key milestone. This guide will identify some of the crucial skills and traits to look for and provide interview questions to help you better identify a budget expert. Few look forward to budget season. For most, it’s a cumbersome part of non-core responsibilities. However, a proactive budget professional will remain positive about the process thereby making it more meaningful and worth a serious effort. Budgeting is a critical mission that requires full commitment. If the budget professional does not show this commitment, chances are few others will. Here are some crucial elements to look for in the way a candidate interacts with a team: They must excel at relationship management and be seen as a trusted partner. Often working with strong-willed executives, they will need to be authoritative during stressful situations and be seen as a voice of reason. They will be a conscientious team member that can both effectively lead or serve, depending on the situation. A qualified candidate will often serve as a coach, helping business units navigate the budgeting process while managing the expectations of others. Since a budget needs to be challenging while remaining achievable, the budget professional will help find balance by first seeking to understand the needs and considerations of each department, while providing guidance. While being a coach, they will also be sensitive to how budget performance impacts executive compensation and know how to manage the tendency for departments to protect their personal interests at the expense of the enterprise’s. Q: The client is a high growth business that has aggressively been capturing market share, with revenue up 20% a year on average for the last 5 years. However, the first half of this year has been slow and revenue is projected to grow in high single digits for the full year. In leading the budget process, you are working with the sales organization to develop their plan for next year. The CEO expects the customer base to grow by 20% with a slight increase in pricing but the SVP of Sales is only budgeting half that and no price increases. How would you work with the SVP to address this difference in expectations? The purpose of a budget is to come up with a plan that has a high likelihood of being achieved. When results greatly exceed or fall short of the budget, the business will suffer. It is important to be able to reconcile differences in expectations that often exist between the executive board and the business unit owners to come up with the most likely outcome given what is currently known. An important first step is to establish rapport and trust with the goal of understanding the basis for their beliefs. Facilitating open communication between both sides to prevent surprises and to help negotiate the difference. Looking to find the information gaps that are creating the differences in expectations. Building scenarios to model, support, and compare both sets of assumptions before a decision is taken. Creating a budget is a high-profile project with clearly defined deliverables and a specific, strictly enforced, timeline. Project management skills will make sure that deliverables and dependencies are understood and that schedules are kept. A budget professional will be focused on meeting a deadline while handling last-minute changes with minimal stress to the team. Q: Budget season in the company typically starts in June with budget submission in early September and presentations to the executive leadership team at the end of September. The company has a revenue growth target of 15% with expenses targeted to grow at 10%. No capital expenditure guidelines have been issued but are up to the business areas to identify. The core business areas - Sales, Marketing, Operations, IT, and Finance & Administration - are all supposed to contribute equally as appropriate. Discuss how you would approach the process, when you would start your planning, and what the sequence of events would be. Develop and communicate the project calendar early. Communicate strategy and objectives at the beginning. Schedule key deliverables by department with a focus on sales planning and Capex initiatives as these will drive operating expenses across the business. Hold cross-functional meetings for collaboration and validating. Provide key stakeholders with regular status updates. A budget has many moving parts, with the complexity growing exponentially as more business units are introduced. Department budgets must be consolidated as well as integrated but many initiatives planned by one will impact another, requiring further synchronization. Additionally, corporate-wide strategic initiatives will need to be layered in, with every unit understanding and properly including the impact to their budgets. A budgeting expert will be able to change their focus from a bird’s eye view to the center of the action as the situation requires. At the macro and micro levels, the consultant will be able to quickly grasp the specific concepts and drivers that influence the business. They should have a questioning mind and be constantly seeking to understand where pieces of the puzzle don’t connect or make sense while seeking to identify gaps, errors, and omissions. Business units will look at the budgeting process differently, based on their own experience and perspective of what the important drivers for their part of the organization. For example, IT might be more focused on capital projects and labor resource utilization, whereas marketing might be focused on campaign spending. An ability to be comfortable with and integrate all types of budgets into one unified model is critical for success in the role. Q: You have just integrated a company ahead of an upcoming budget process. While interviews and your own research have given you a strong understanding of the business, you feel you do not have enough of the insider perspective for your liking. How would you rapidly get up to speed? Meet with all business unit heads and/or second-in-command to gain detailed understanding about operations of each unit and what drives their activity. Review existing forecasts in advance to help identify trends and projections as a basis for their meetings. In-depth meeting with CFO to gain overview of business strategy for next few years and insights into the dynamics of the business units. A history of successfully interacting with people at all levels and all backgrounds in an organization is crucial to ensure an accurate budget. Ability to communicate with non-financial types. The candidate will need to be to effectively communicate complex financial projections in layman’s terms and using an appropriate medium. 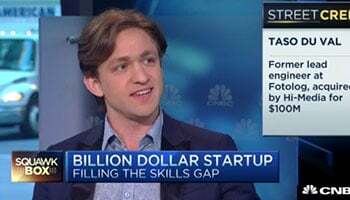 These skills must be also be allied to superlative fintech abilities that will provide a good structure to the models, a logical and properly organized approach to how the budgets are created, and a keen understanding of which technologies to apply. A budget professional will have a solid understanding of GAAP and the appropriate accounting treatment for various initiatives and expenditures. Q: You need to work with the CIO for a software development company. The company develops software for both internal use as well as for sale externally. The CIO looks for you to prepare the budget in a GAAP compliant manner. For the purpose of putting together a budget, what sort of questions will you need to ask the CIO and their team? Accounting treatment has an important place in the budget and technology development projects have distinct phases that determine how the expenses are accounted for. The candidate would be expected to address the following areas. Establish where individual development projects are in their lifecycle and how much will be expensed during each phase occurring within the budget’s timeframe. Identify the correct basis to amortize development expense post go-live, based on how software asset will be consumed. Fully understand related ongoing operating expenses or revenue streams. Identify new projects under development versus maintenance and enhancements as they have different accounting treatment. Use good spreadsheet practices to avoid overcomplicating models. Build models with input forms for assumptions, named ranges, instructions, and reasonable documentation. Link models to presentation tools, ensuring these are completely in sync for any last-minute updates. Ensure models include appropriate graphic elements as, for most purposes, large data-intensive spreadsheets are poor tools for communicating financial messages. Will ideally have experience of leading the roll-out or upgrading of budgeting software used by clients. There are good reasons for different approaches to creating a budget. Each of the three most common methods, top-down, bottom-up and zero-based, serves a different type or stage of business better than another. A good candidate will know when one is more suitable than another. However, it is not uncommon to bounce one method against another as a sanity check. Top-down budgeting: The budget is formulated at the highest level of management and passed down to different departments. Bottom-up budgeting: Each department or business unit lays out their own costs, which are then added together to form central budget. Zero-based budgeting: Starting from a zero base, all costs, whether recurring or new, are justified in turn, allowing for optimization. Q: A CEO with an early stage manufacturing business is being required to not only create an operating budget for the upcoming year, but also a 3-year long-range plan (LRP) for private equity (PE) investors. How would you recommend going about it and why is the method(s) chosen appropriate? In this case, the zero-based budget is preferable for several reasons. The candidate should be able to pick up on this, choose that approach and justify how the budget would be created. The zero-based budgeting approach is correct here because early-stage businesses will not have a lot of consistent historical activity to create a budget with, through bottom-up or top-down. Creating a zero-based budget is also the right choice as it will make executives look at each action taken and each expense incurred, and justify them based on the financial impact. Find out the expectations of PE investors and use them to create a top-down budget and and LRP that should be able to be reconciled with the zero-based budget. Finally, experience with budget lifecycles will make a candidate stand out from the rest. This will help to ensure that all active participants, who already have a full plate, spend little of their time on non-value added activities. Having been through budget cycles before, an experienced professional will have the ability to rapidly anticipate where the budget will get challenged in a specific setting. This experience will see them proactively work with the business unit leadership to prepare for inevitable challenges, either with supporting details to counter the challenges or by presenting alternative scenarios. Either as part of the original budget planning or as part of the revision process they will be able to identify revenue opportunities and expense cuts. They will not only rely on their understanding of the business but will also have sat through the budget review sessions searching for opportunities that may have been missed. Q: A $500MM subscription-based software provider has included a large increase in customer service representatives in their budget plan. The increase is far greater than the growth in customers. The executive team has instructed you and the Customer Service leadership team to revisit the plan and either adjust the increase in headcount to match the growth in the customer base or provide significant rationale to support the additional increase. What sort of issues might you have to address in this process? While return on investment, payback, net present value and other financial return calculations work well for investments that produce quantifiable results, they aren’t always easy to defend for less tangible outcomes. The candidate should address this through some of the following points. How would they quantify incremental costs? How would they identify benefits throughout the business, eg: reduced customer churn, improved customer satisfaction, higher sales due to better reputation, lower credit?. How would the executive team like the initiative to be measured, in order to get buy-in? Would they prepare an alternative scenario for the lower headcount, quantifying how it would impact the business. An exceptional budget professional will be able to naturally wear a variety of hats from business partner to project manager while also being the interface to the corporate finance function. The right hire will make a process that is frequently seen as bureaucratic seem meaningful and will help set the stage for progress, converting strategy into results.